As you know the last year’s NCAA tournament was won by Villanova, but their noticeable absensce in our bracket this year potentially says a lot about the craziness of the tournament. Should you make your Sweet 16 picks now or wait? 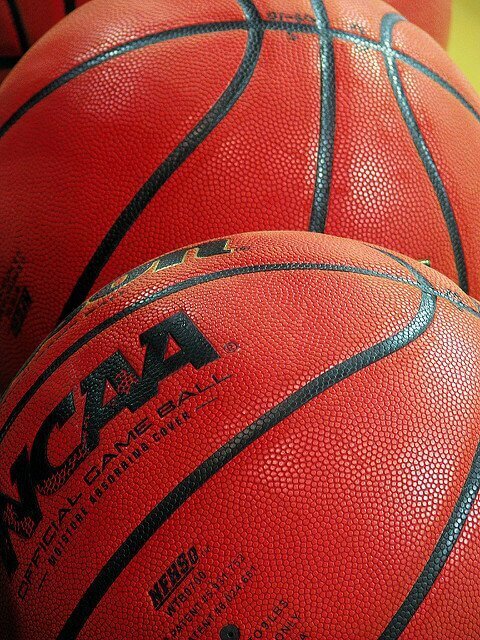 How to bet on the NCAA Basketball Sweet 16? Many bettors like to use early betting predictions because they can get some good Sweet 16 odds for the upcoming NCAA competition. So, what teams can be a part of your Sweet 16 lines for 2019? The answer to this question is not an easy one, especially this early on. Yet, based on the available information online, we’ve managed to make some early picks. After winning the two of the past three NCAA tournaments, this team is likely to feel pressure during this year’s competition. Even though they’ve lost some of their key members, the Wildcats are most likely going to push toward this phase of the competition, and probably even higher. Some sources online are predicting that Nevada could rank a lot better during this year’s competition. Some experts even go further, claiming that this team could win the championship. With the Martin twins back on the team, we can be sure that the odds could go in their favor. Indiana has backed their team with Romeo Langford. The Hoosiers can potentially become a big surprise in this year’s NCAA competition. If this scenario happens to be true, bettors could take advantage of some good Sweet 16 odds. As with any sports betting, the Sweet 16 betting experience is much better if you get the latest information on time. The Boilermakers have gotten into the Sweet 16 picks for two consecutive years. They will be looking to get into the third consecutive year by entering this phase of the tournament. As for some of the key players, the point guard Carsen Edwards will be directing the offense. The Mountaineers will be aiming to get their fourth appearance in this stage of the competition for the last five years. It is up to the bettors to figure out if only this is enough for West Virginia to be one of their Sweet 16 lines this year. Their latest transfer Andrew Gordon could become a good improvement for this year’s team. There are certain advantages and disadvantages to making the Sweet 16 betting predictions this early. For example, the more early you start making your bets on this matter, the better Sweet 16 odds will be there for you to use. On the other hand, greater odds usually mean higher risk. So, if you want to have more information while making your Sweet 16 lines, you can wait a while to make some safer bets later on. Of course, this means that the odds will most likely be less favorable later on. The Sweet 16 betting is similar to any other kind of sports betting on the market. After you are done making your Sweet 16 predictions, you can proceed to place your bets online. The very first thing you should do is to find your favorite online betting operator among many different brands that are currently available. We can help you choose the best one out there with our online sportsbook reviews. Pay extra attention to their welcome offers and similar bonuses. These promotions can help you make more bets or stake larger amounts. After creating a new account on the online betting platform of your choice, placing bets on your Sweet 16 picks is very easy. In most cases, you will create a betslip online, choose the amounts you want to bet and within a couple of steps, you will start using the perks of online sports betting. Here are some answers to the common questions that we get about this phase of the NCAA tournament. You can watch this phase of the tournament on Thursday and Friday of the second week of this competition. As you can see, there is enough time for you to decide what Sweet 16 picks you are going to make. Where will this phase of the NCAA competition take place in 2019? The Sweet Sixteen of 2019 will take place in Anaheim, Louisville, Kansas City and Washington, D.C.
How did this phase of the competition get its name? This unofficial name was first introduced back in the 80s by the CBS commentators. Before that, the name was used by the Kentucky High School Athletic Association for their annual championship tournament. Afterward, the NCAA had made a deal with this association and the Sweet 16 trademark is now owned by NCAA. Where can I place bets on this phase of the tournament? You can start by reading our online sportsbook reviews on this site. We tend to cover all the good and bad sides of each operator. Learn more about their promotions like bonuses and welcome offers. This can help you form some idea of the operator that suits your needs and choose your favorite online bookie. From there, you can proceed and create a new account on that online betting platform and place your bets.